American advocate and TV personality Angela Rye had to face the worst of public reactions to celebrities, death threats, possibly because of her relationship with her then boyfriend. The Seattle-native is one of America's best advocate and political analyst, who works as a CEO of an advocacy firm, IMPACT Strategies, in the country's capital. She is also a political commentator for CNN and political analyst for NPR (National Public Radio). Angela is one of the most straight-faced no-nonsense commentators in the American television today, who does not any qualms about destroying people's opinions if they contradict with truth at any point. 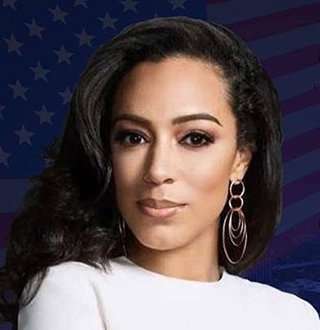 On 26 October 1979, Angela Rye was born in Seattle Washington to politically conscious parents. She graduated from Holy Names Academy, a private Catholic all-girls school in Seattle and got her undergraduate degree from the University of Washington. Angela was named after Angela Davis, a Black Panther member, a black and women's rights activist, and thus an affinity to political activism was instilled in her at an early age. 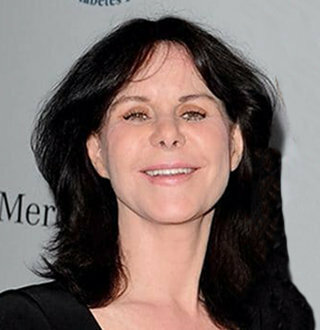 Knowing her beckoning to the be political activism, she went to Seattle University School of Law and became a lawyer. Angela stands at an average height for an American woman. After law school, Angela started her career at the National Association for Equal Opportunity in Higher Education, as a coordinator for advocacy and legislative affairs. Throughout her career, he has held some very serious and responsible jobs like Executive Director and General Counsel to the Congressional Black Caucus for its 112th Congress; senior advisor, and counsel to the House Committee on Homeland security. As a woman of serious impact in American advocacy sector, Angela is currently working as a CEO of IMPACT Strategies, a political advocacy firm, political commentator for CNN, and liberal analyst for NPR. As a political commentator, Angels earns almost $ 85 thousand dollars in a year, a sum that brings a huge swell in her net worth already swell from her advocate job. On the personal front, Angela remained closed for most of her career, but it couldn’t remain so. It came to the limelight that she started dating award-winning American rapper and actor, Common. During the early phase of their dating, Angela and Common were very suited to each other, with Common saying Angela was a very fun person to be with and he was happy to find her, while Angela saying that her boyfriend was a great human being and thus made her a better person. With their words, they looked almost like married-for-years husband and wife. While initially, it looked like boyfriend and girlfriend were soon going to be married and become husband and wife, the relationship wasn’t even a year old before it broke down. Previously, before things started to deteriorate between Angela and Common, during the early happy dating days, Angela started receiving anonymous death threats. While death threats were ignorable in the beginning, they got personal and scary very soon, which prompted Angela to file a complaint with LAPD. This issue might have ridden in their minds to their separation, and quite possibly prevented the forming of a happy married life. While it is not clear whether the threats were because of her relationship with Common, but they did start as she started dating him. Now, however, after she has split with Common, there has been no news of whether the threats have stopped. We hope they did and also that Angela finds someone special with whom would not bring her death threats. Fox Anchor Julie Banderas Choked On Divorce With Husband Or Balancing Married Life?